Front and rear window stainless clips. The Christine Car Club » Christine Car Club Tech Section » Body, Interior & Exterior Trim & Paint: » Front and rear window stainless clips. 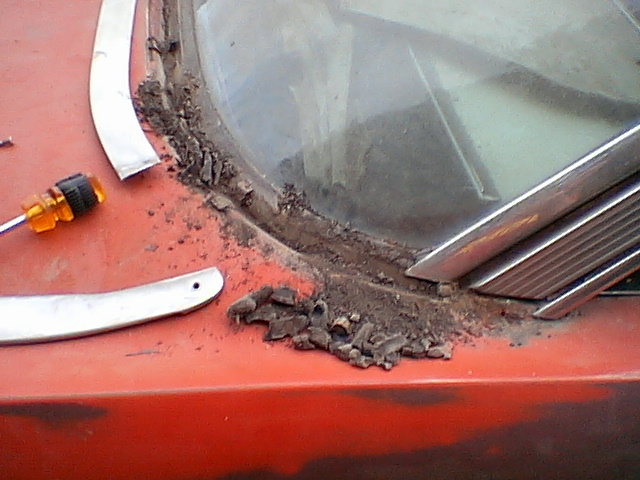 I have started to remove my stainless from around the windshield and rear window. Lots of black crud underneath. Everything under there looks good except for the clips that hold the stainless trim. Most are rusted out. Can you buy replacements for them or are you folks doing something different to assemble? Hi Jim, I believe there are re-pop's made. I have to look up the vendor in my file's and get back to you. I think maybe Gary Goer's or Andy Berbaum(overseas). Get back to you. EvilPlymouth wrote: Hi Jim, I believe there are re-pop's made. I have to look up the vendor in my file's and get back to you. I think maybe Gary Goer's or Andy Berbaum(overseas). Get back to you. Is Andy Berbaum Overseas, I was thinking he was Somewhere you Joe? I have bought from him but not overseas, That has been about ten years or so ago. Jim, If Jeff Nichol's has them, buy them from him. He is great to do buisness with and price's more than fair. hey knighty didnt see your email could you resend it?